This Pool Home is being sold tastefully furnished and the neighborhood is short term rental allowed meaning it can be an income producing property by renting it out by the week to vacationers because it is so close to Disney World. 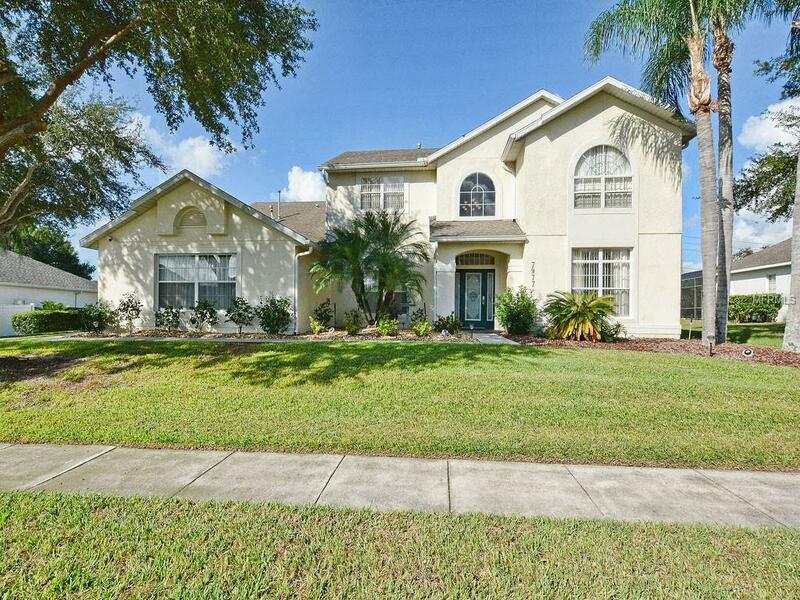 This Gated Community is less than 3 Miles from Disney World Property and is the closest Gated community to it as well. Formosa Gardens Estates offers the largest lots in the area, when you enter through the front gates you instantly notice the large lots and distance between homes compared to the homes outside its Gates. Make no mistake this is a large 5 bedroom home on a 1/3 acre lot, it has grand entrance with Formal Dining to the left and a Games Room with pool table to the right which could easily be turned into a 6th bedroom while moving the pool table to the garage like so many vacation homes have done if the new owner wished. The Large Master Suite is on the 1st Floor with pool access. Owners and guests who love movies, 1 of the 3 car garage bays has been converted professionally into a Harry Potter themed air conditioned Theater Room. The private Swimming Pool & Spa is West Facing with a screen enclosure, the large back yard surrounds the swimming pool is completely fenced for privacy. It is wired for alarm and has video cameras already installed. This Gated Home would make a wonderful home to live in or to use as a 2nd home and perfect for an upscale vacation rental near Disney.